The self-storage market is booming and demand is high for storage units to rent. It’s easier than ever these days to find the ideal storage solutions as you can pick and choose the size of space and access requirements at a price and length of time you need it for. Renting extra storage allows you and your business space to make the most of the present day opportunities and plan for future events and occasions without heavily investing in additional business premises. It’s the run up to Christmas. 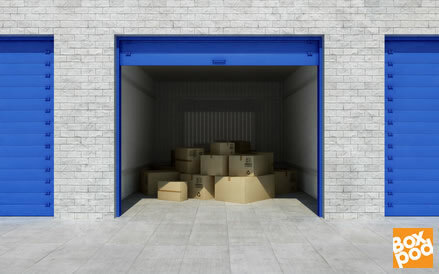 Brexit is looming… Take a look at storage space to rent. Boxpod lists storage units throughout the UK. There are many different options on the market. Find leases and sites – from containers to boxes – to suit your particular needs. Town, country, alongside major roads, wherever you need it. The storage space can be rented in a matter of minutes. Have your payment details ready. Home-based entrepreneurs and businesses can benefit from having stock readily to hand, safe and secure then ready to dispatch as necessary – without compromising their own personal living space.